The bi-annual Paul Ré Peace Prize opened their 2018 nomination cycle. The award recognizes one faculty, staff, student, alumnus or retiree at The University of New Mexico for promoting peace, harmony and understanding among people. Artist and author, Paul Ré, is recognized internationally for promoting world peace and harmony through his masterful creations. For four decades, Albuquerque resident Ré has shown how serene and elevating art can act as a model for living and can inspire individuals to find inner depth and express it outwardly through good works. The recipient of the award may be an artist, but may also be an individual in any field who has pursued peace and harmony with creativity and dedication. Works may be on a local, regional, national or global level. Emphasis is on promoting both internal and external peace, as well as fostering discussion of what really constitutes peace. Possible projects may be environmental, involve individual or social healing, integrative medicine, sustainable energy or green architectural design, art creation or preservation, human population control and family planning or any positive endeavor. Included is conflict resolution, but conflict prevention is to be particularly strongly emphasized. The award consists of a stipend, commemorative artwork by Paul Ré, specially inscribed copies of Ré’s acclaimed books, “The Dance of the Pencil” and “Art, Peace, and Transcendence,” plus an award reception. 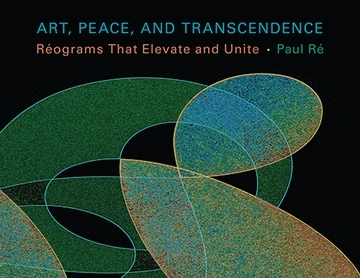 Ré’s latest volume, “Art, Peace, and Transcendence: Réograms that Elevate and Unite,” received the New Mexico Arizona Book Award for Philosophy and is available from UNM Press. Nominations for the May 24 award can be submitted electronically or mailed, and must be received Monday, Feb. 26 by 5 p.m. For nomination forms and additional information about the prize visit the website. For more information, visit Paul Ré or contact Ré at 505.298.0290, email, paulre@centurylink.net or Wendy Stires, 505.313.7616 or email, wendy.stires@unmfund.org.